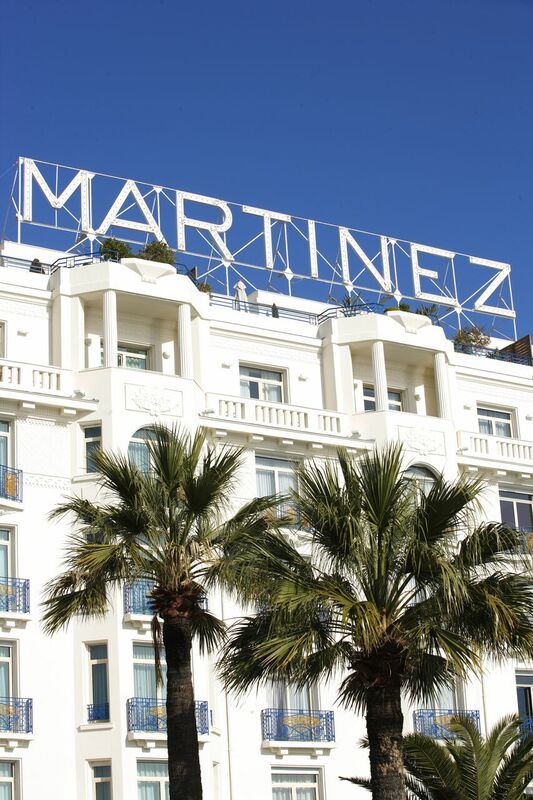 An extensive redesign has made Hotel Martinez (part of the Unbound Collection by Hyatt) the most glamorous hotel on the croisette. The classically 1930’s landmark hotel, Hotel Martinez hasn’t been renovated since 2016, and was closed completely for the past 6 months for a complete upgrade to the lobby, the 409 rooms, restaurant and courtyard. 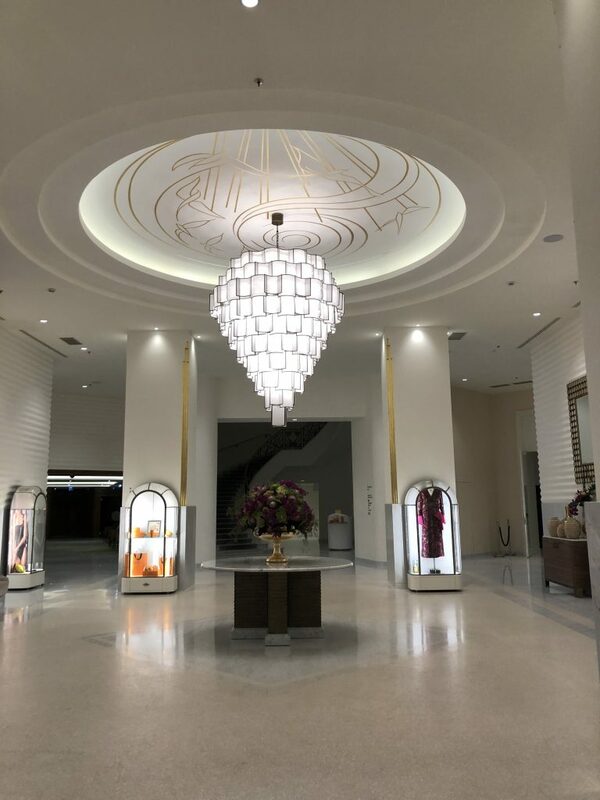 The Art Deco hotel located right on one of the world’s most sophisticated Croisettes has always been known for its knockout glamour at every turn and now that as become a modern day reality as the renovation has taken the glamour to a whole new level. 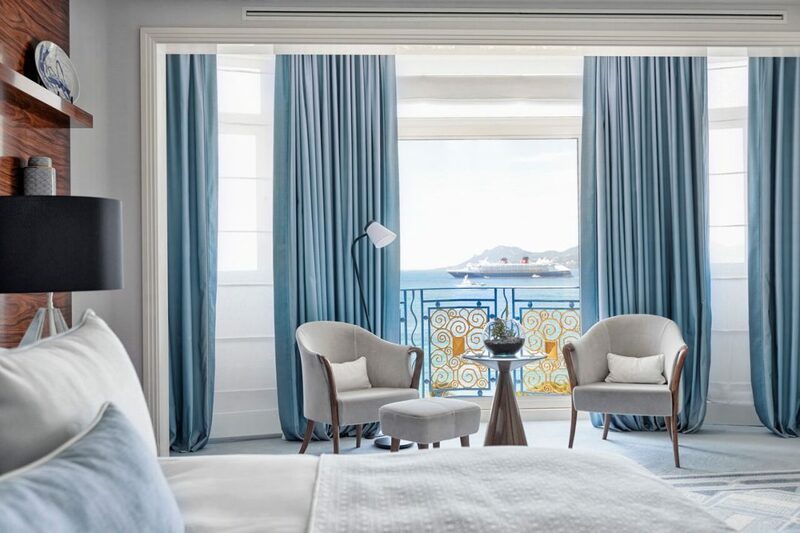 The renovation at The Hotel Martinez in Cannes is simply stunning. 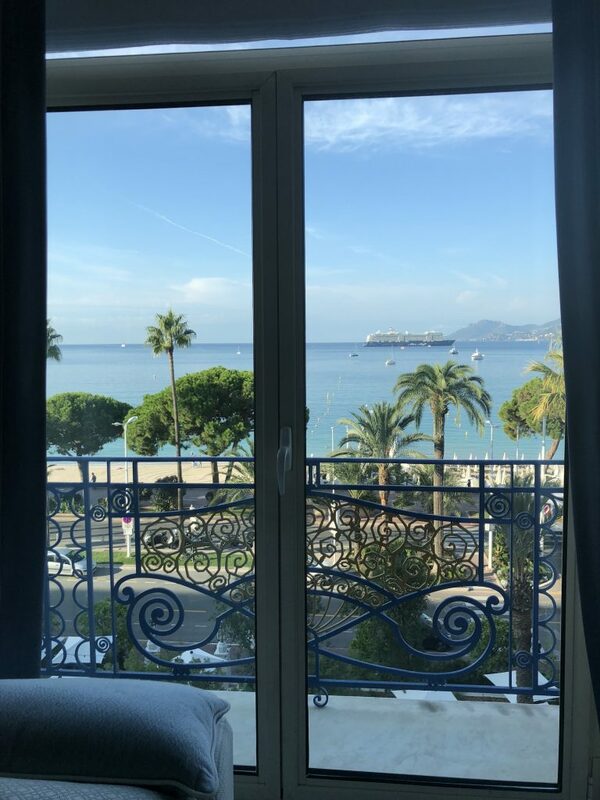 The meticulously striking overhaul has breathed new life into the classically elegant, iconic property steeped in history, and has taken the Cannes Grande Dame to the next level as the most glamorous in Cannes, and one of the leading properties in the French Riviera. Without doubt it is now a sophisticated year-round go-to hotel. From towering, thick, stately white pillars in the marbled lobby finished with gold trim, to multiple patterns in various types of green wallpapers in the lobby area, white shutters, and gold artefacts scattered around the entrance, this is an astonishing hotel to spend time soaking up the very best and freshest of the French Riviera. 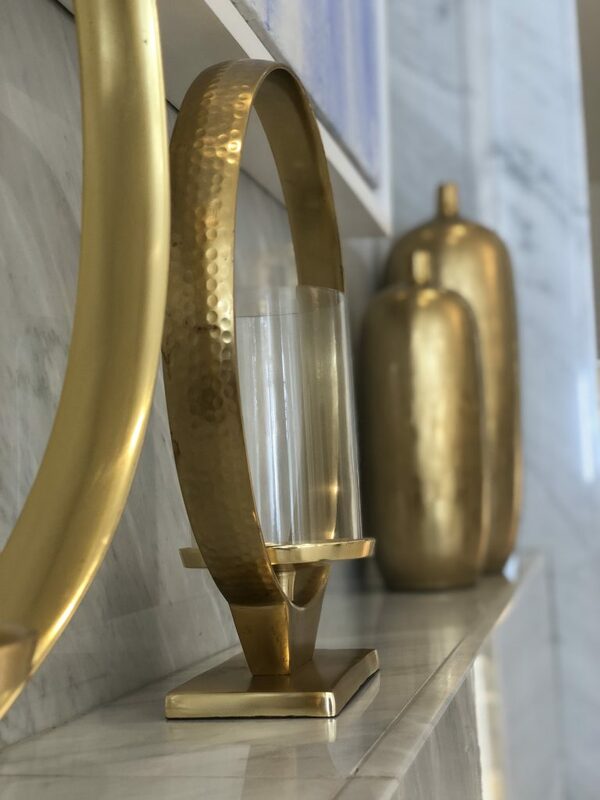 The refurbishment of The Hotel Matinez in Cannes features striking white and gold pillars and fixtures in the lobby. But the classic elements of the hotel remain, including the extra-ordinary staircase, and white, towering facade. The new design feels like it encapsulates the Gatsby feel it would have enjoyed in the movie star days of the 1930s and 40s, and that it has brought this feel into the modern era. 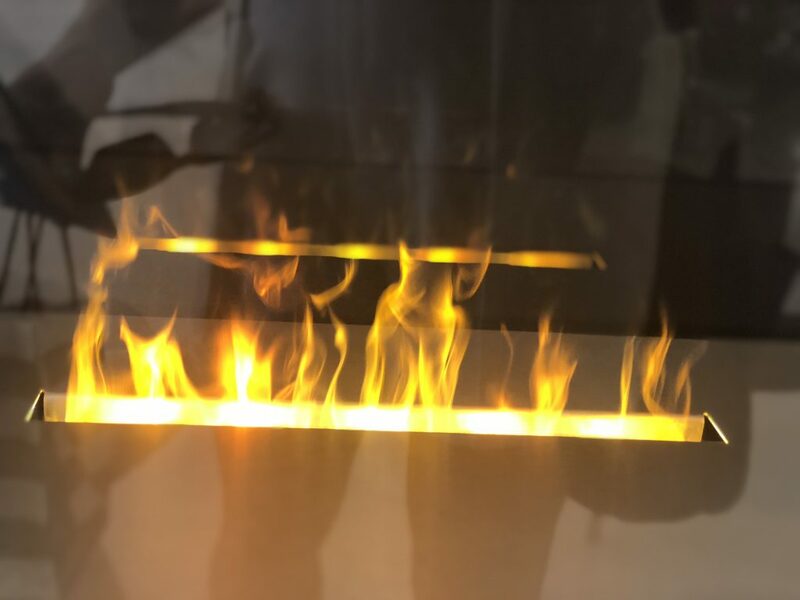 There is even a mesmerising faux fireplace – for artistic effect- in the lobby. The mesmerising faux fireplace in the newly renovated Hotel Martinez in Cannes. 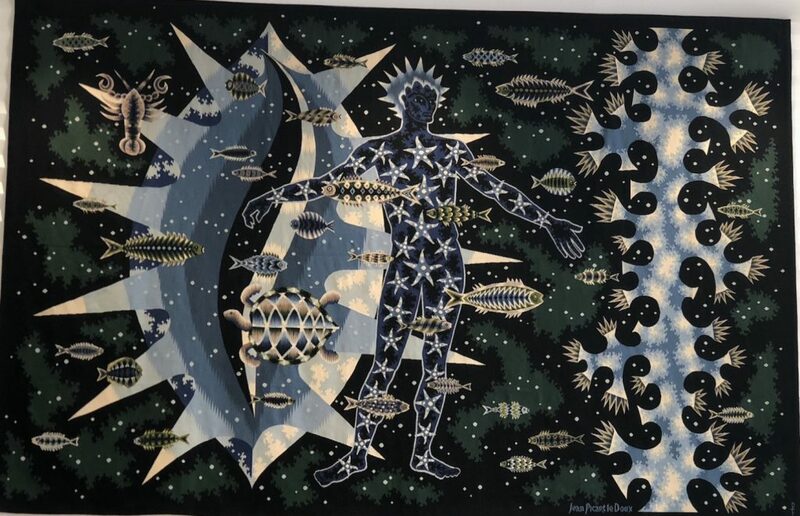 There are huge blue-hued under the sea styled abstract artworks in the restaurant La Version Originale, and an extensive new alfresco garden sitting right on the Croisette, Le Jardin Du Martinez, perfect for summer breakfasts, or cocktails. Elegant gold artefacts are scattered throughout the newly renovated and re-designed Hotel Martinez in Cannes. The hotel is nothing short of stunning at every turn. 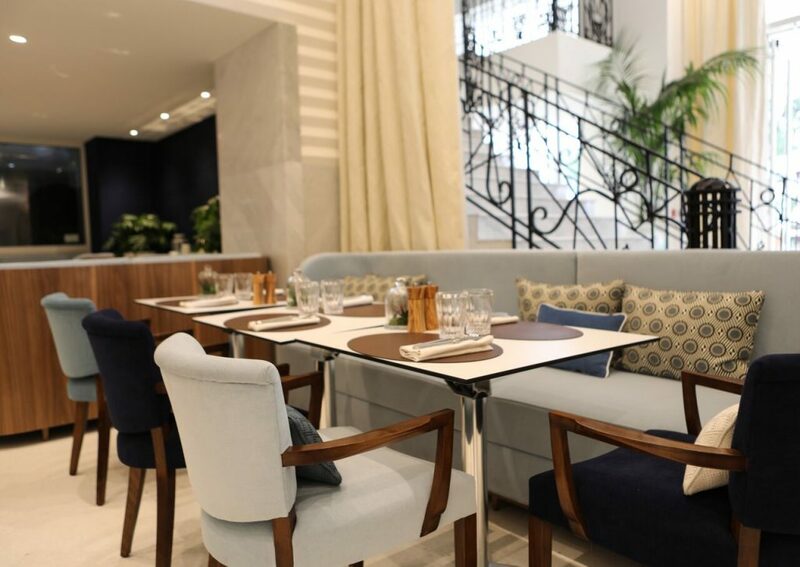 The Art Deco feel remains, but a fresh, contemporary design with warm yet stately interior textures reflects the joys and wonders of the Mediterranean, and indeed of France. The Parisian designer, Pierre-Yves Rochon was actually the man who designed the multiple award winning 2 star Michelin Restaurant Palme D’Or many years ago, (featuring extraordinary dishes from Chef Christian Sinicropi) and came back on board to completely beautify the majestic property. The furnishings in the restaurant of Hotel Martinez reflect the colours of the natural environment including the blues of the ocean and sky and cream of the sand. The art works at the newly re-designed Hotel Martinez, Cannes are nothing short of spectacular, and modern. The colour palette takes inspiration from the ocean, the sand and the elements of the French Riviera that have made it one of the most coveted places in the world to visit during the European summer. Rooms overlook the meditteranean or Cannes surrounds. Renae Leith-Manos at the newly renovated Grand Hyatt Cannes Hotel Martinez. The interiors feature a wide combination of prints and colours including various shades of blue, white, cream silver and even yellow. Suites feature silk silver fish-patterned screens which can cover a window from the bathroom to the bedroom and overlooking the ocean. Bathrooms are white and silver and flooded with light. 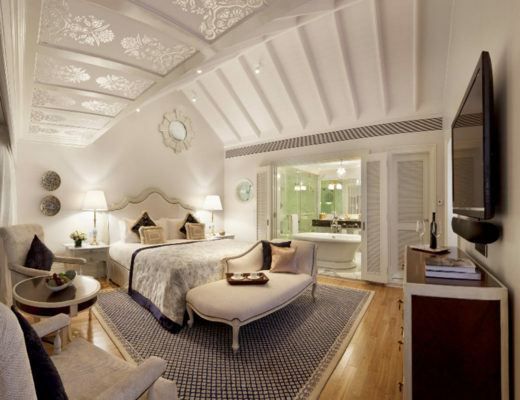 The feel of each room is absolute luxury, combined with a calming sense of art, philosophy. 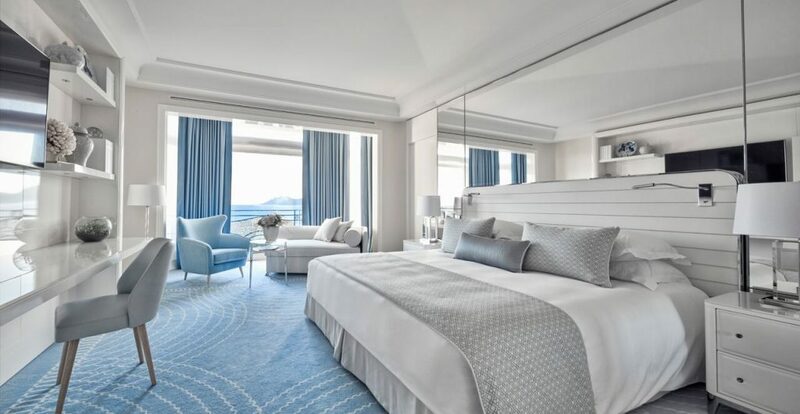 The newly renovated rooms at The Grand Hyatt Cannes Hotel Martinez. The surreal essence of the French Rivera is reflected in the unique collection of artefacts and features in each newly renovated room. Bath and shower products are made exclusively for the property by French fragrance company Fragonard and come with luxe metal round screw tops. 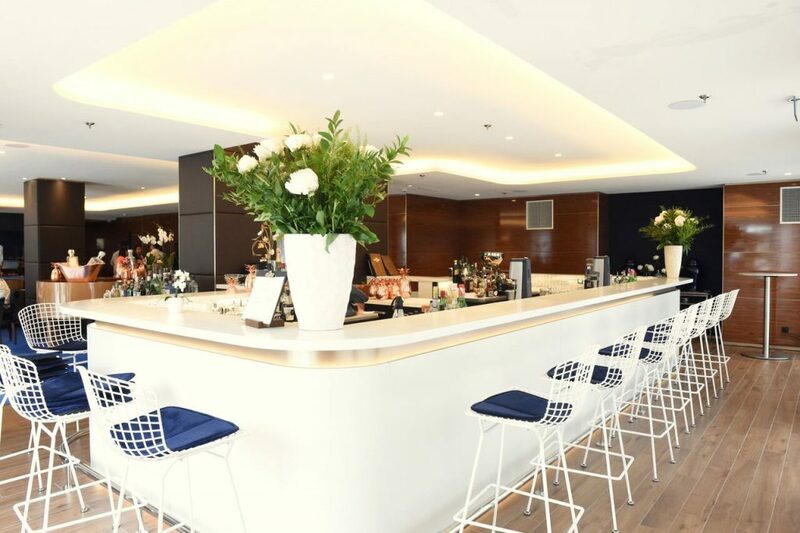 The Martinez Bar is a favourite for the glamorous boating set, who appear at the bar to enjoy the live music and sophisticated cocktail scene each night of the week during summer, and to enjoy stunning cocktails. The Zplage Private Beach is sublime, and will also be renovated over the next few months. There is the spacious L.Raphael Beauty Spa, the ultimate place to de-toxify and de-stress. A kids club will open in July. As far as the French Rivera goes, this is as good as it gets. Who should Stay here: Couples or families. Who shouldn’t stay here: I can’t think of anyone who wouldn’t enjoy it. Location: Cannes, France. The French Rivera. Best culinary delight: Two Michelin star restaurant La Palme D’Or is exceptional. The Highlight: The feel of the freshly refurbished hotel. The lowlight: There isn’t one. For more on Hotel Martinez, click here.